Aligning learning and development (L&D) and the business has been a perennial goal for L&D. Still, research continues to show there is a meaning gap. In order to close this gap, L&D must evolve to better leverage effective business consulting skills to surface insights about business goals, changes to performance, and key factors that inform design decisions and learning outcomes. Based on more than 20 years and nearly 200 client projects, Kelly and Brian will share client stories, tips and insights that will help you improve your business consulting skills. No matter whether you are an internal L&D professional, an external consultant, or your current level, practitioner to leader, you’ll have a set of tips, simple to use tools, and guides to follow to help you improve your business consulting skills. What things are important to focus on at different stages when working with business leaders, managers, and stakeholders. Important questions to ask at each stage to uncover critical information from the stakeholders. Where and how to involve business leaders in the process for maximum benefit. 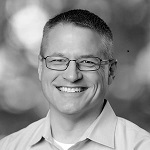 Brian Blecke is a performance consultant and learning strategist with more than 25 years’ experience. As a founding partner of Actio Learning, he uses a diverse set of tools, models and experiences to help his clients align learning outcomes to business goals, design innovative learning solutions, and create measurable performance improvement. 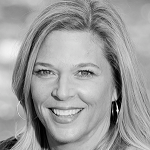 Kelly Smith is a founding partner and performance consultant at Actio Learning. For 25 years Kelly has partnered with her clients to design and deliver innovative learning and performance improvement solutions to improve organizational performance and address workforce challenges.